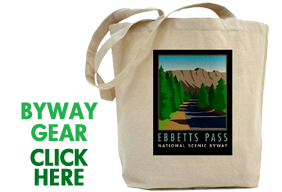 Caltrans crews have removed the winter snow, cleared the debris, made necessary repairs and will open State Route 4 (SR-4)/Ebbetts Pass National Scenic Byway at noon today (Friday, May 4, 2018). 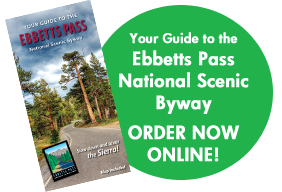 Ebbetts Pass rises to 8,730 feet, making it one of the highest passes in the Sierra with grades in excess of 23%, far exceeding typical highway grades of 6%. Our local maintenance crews would like to remind everyone to please drive safely over the pass. It’s still freezing at night and there could be icy spots. Please be aware and alert as obstacles and icy spots may occur unexpectedly. Our crews are patrolling the route regularly to remove rocks and anything else that may have fallen into the roadway as the slopes de-thaw, but you never know what could be around that next blind corner. Caltrans crews responsible for the road opening extend their best wishes for safe summer traveling to those who enjoy the recreational opportunities this part of California has to offer.